In a dizzying world of glamour, danger and mystery, The Curse of Van Gogh is the story of a man drawn into an underground crime world he thought he'd left behind forever. Readers who loved the action and adventure of The Thomas Crown Affair and Ocean's 11 films, as well as Dan Brown's The Da Vinci Code, will be thrilled by this stunning novel, which is released on the 124th anniversary of van Gogh’s death. Tyler Sears, art thief, just released from a federal prison, vows never again. He slides into a simple life bartending in New York City until one day an invitation arrives to the hottest art event of the season, where Tyler meets Komate Imasu, famed art collector. Suddenly Tyler's vows of abstinence slip away as Imasu uses threats against Tyler's family. Tyler decides to gamble and ups the ante to a breathtaking level. Tyler quickly learns that gambling against a ruthless billionaire is never a good idea. Forgetting his own safety, Tyler plunges headfirst into a world of art forgers, hit men, Yakuza, a femme fatale named Chanel No. 5, and the hideous curse of van Gogh, in order to pull off…the greatest art heist in history. Tyler Sears is newly released from prison, on parole, and working as a bartender. He has vowed to give up his life of crime because if he gets caught in the act again it will be his third strike and it'll be prison for the rest of his life. Tyler's life on the outside isn't great, but he does have a job in a place he likes and works with people he likes, so things could be worse. Enter Mr. Komate Imasu with an offer that Tyler can't refuse . . . literally. Mr. Imasu expects Tyler to pull off a theft of one of the most important pieces of Impressionist art ever, Vincent Van Gogh's Starry Night. If Tyler doesn't agree to the heist then Tyler and his family will pay the price. Tyler comes up with a counteroffer that he believes will get him off the hook. He states that he'll steal twelve pieces of Impressionist art from an upcoming tour, basically the art world's version of the Impressionist era's greatest hits. Unfortunately for Tyler, Mr. Imasu agrees to this counteroffer and prepays Tyler $50 million with the remaining $50 million to be paid on delivery. Now Tyler just has to figure out how to steal the paintings, keep Mr. Imasu and his Yakuza friends as well as Interpol off his back. He also has to figure out how to keep his family safe while committing the perfect crime, with hopefully none of the repercussions of the Van Gogh curse (think the curse of King Tut). Sounds like a lot doesn't it . . . but wait, throw in a romantic twist when Tyler reunites with a lady friend from his past and you've got one heck of a story. It took me awhile to get into The Curse of Van Gogh. The story seemed to slow down in places when discussing art history, weapons details, etc. at the beginning I know some people may like all of those details but they didn't really add much to the overall story for me and I could have done without them. Of course the story probably wouldn't have been the same without those details which is why Mr. Hoppe is the author and I'm a reader and blogger. After the first 60-70 pages the pace of the story picked up quite a bit and then it was full-speed ahead. Tyler and his love interest, Lucy, made for a nice twist, as we can see that Tyler is fully aware of the gravity of his situation and doesn't want anyone else to suffer any of the consequences. Tyler isn't really a bad guy, just a guy that has made mistakes in his past. He tries to atone for it by ensuring, to the best of his abilities, that his mother, brother, and friends are protected from any fallout. He also wants to do the right thing and agrees that he'll return the paintings after the theft. There are several big questions that Tyler needs to address. First, can he pull off this art theft without getting caught? Second, if he pulls off the theft, can he stay a step ahead of his Interpol nemesis, not to mention Mr. Imasu and the Yakuza? And last, will he be able to win the girl of his dreams by trusting her and telling her the truth? Told you there was a lot going on in this story. Mr. Hoppe does a wonderful job of pulling together the various storylines and weaving them to complete a wholly believable crime thriller. There are bad guys, namely Mr. Imasu and the Yakuza. There are other bad guys that are out to protect Tyler and his family, so we'll just consider them good guys with dirty white hats. There's Tyler, his mother and her love interest, Tyler's brother, and Tyler's love interest, and finally Interpol. Amazingly enough each group serves its purpose well and I can't imagine the story without any of them. 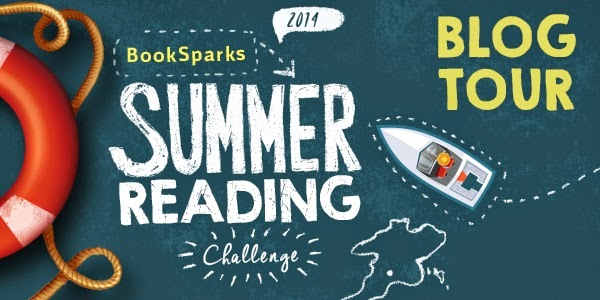 The end was very fast paced and had me on the edge of my seat figuratively speaking. Does Tyler succeed in his attempt to do the impossible? Does he get the girl? Does he come out alive? Well to find the answers to those questions you'll just have to read the book. 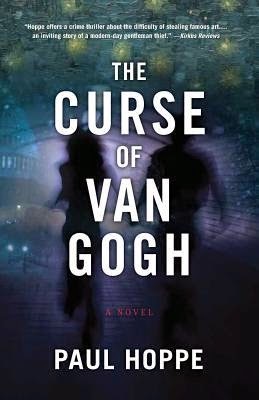 If you're a crime thriller reader, like stories that involve art and the art world, or are simply looking for something a little different, then The Curse of Van Gogh is the book you'll want to read.